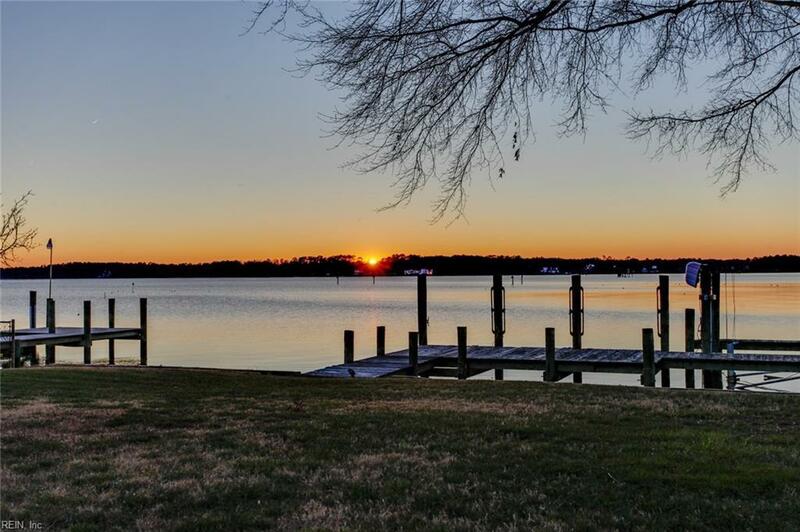 112 Chisman Cir, York County, VA 23696 (#10237449) :: Abbitt Realty Co.
Sensational sunset conveys with this gorgeous, updated home on Seaford waterfront! Every detail has been attended to - even an apartment with kitchen above the detached oversized 2-car garage (for your guests to enjoy sunset). Beautiful hardwood floors throughout. Kitchen has granite counter tops with lots of beautiful white cabinets. There are 2 master suites plus 2 other bedrooms and 4 full baths! Huge game/rec room on the bottom floor (with a full bath) is ideal for gathering with friends or family - would be great for many different uses. Rec room leads to beautiful views in the sunroom! The home goes on and on! 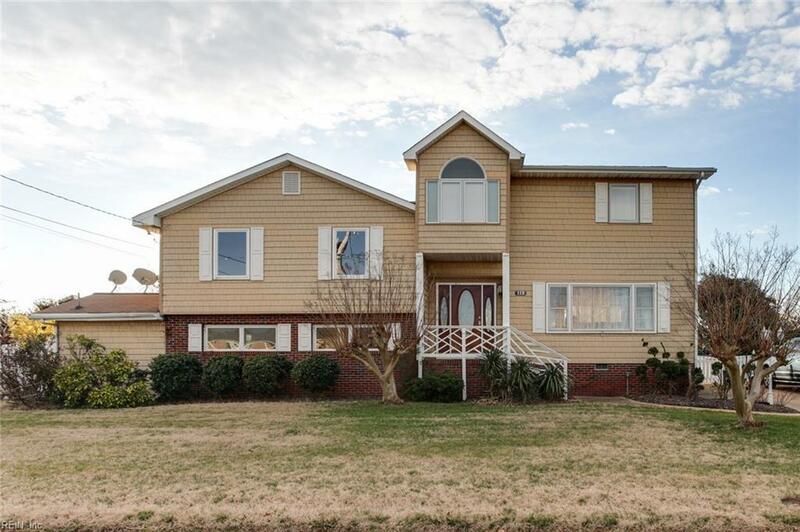 Huge master was added on top floor - big enough to add a kitchenette! Of course, the views are outstanding! There is aslo a dock and boat lift. 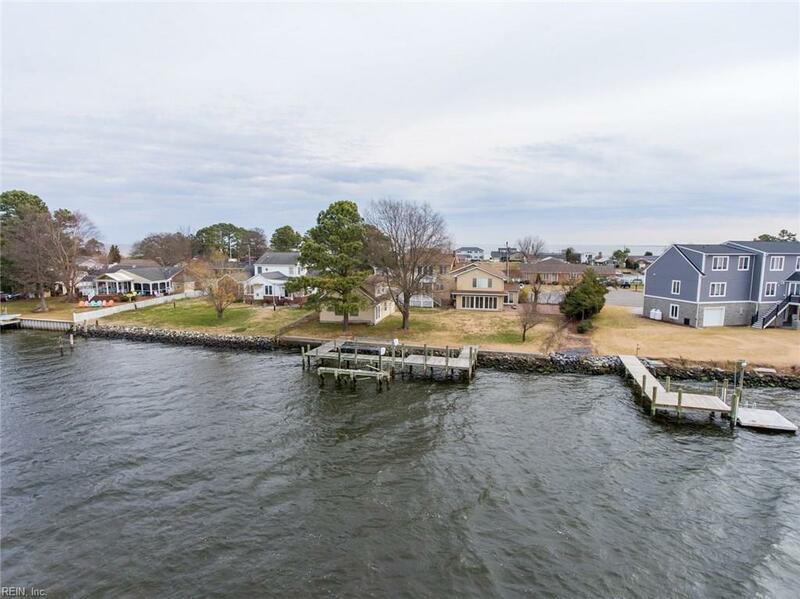 Seller estimates 4-5' at low tide. Siding/ roof replaced about 10 yrs ago. It's obvious that someone loves this home. BTW, no flooding during Isabel. Flood insurance is currently less than $700/year. 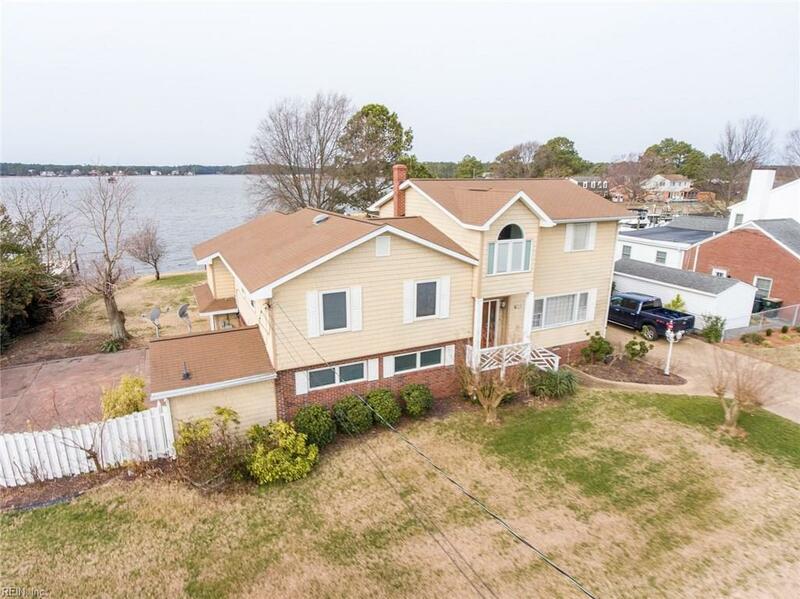 Come see this home for yourself!